The current Grand Caillou Middle School located in Dulac, LA has flooded seven times due to major hurricanes which often left students in temporary transfer schools or without school for weeks. This state of the art facility designed to withstand 150 mph wind gusts stands 10 feet above sea level and is two stories tall, with all the classrooms, computer labs and other vital academic areas a floor off the ground leaving a 15,630-square-foot covered outdoor area underneath. It is made of materials that are easy to maintain and clean such as concrete block and plaster, so the process of recovering from flooding will be much easier. 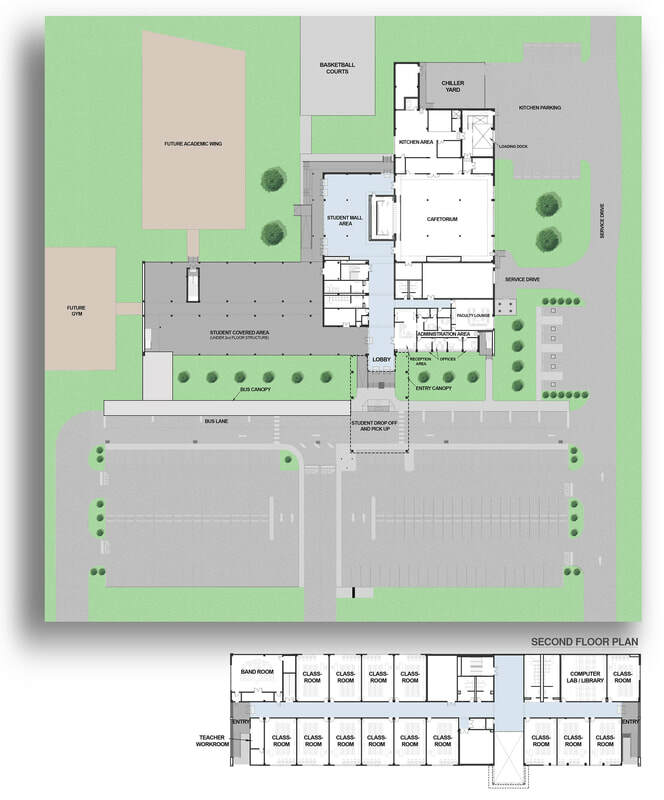 The new school will serve about 450 fifth- through eighth-graders.